BAGUIO CITY – The City Council approved on third and final reading a proposed ordinance institutionalizing local government support to the annual conduct of the Brigada Eskwela in the city. The ordinance authored by Councilor Peter Fianza states that the local government recognizes the policy of the State to give priority to education, science and technology, arts, culture, and sports to foster patriotism and nationalism, accelerate social progress, and promote total human liberation and development. Further, in accordance with the operative principles of decentralization, the local government, aware of the enormous gains and contributions from the participation of the private sector in the delivery of basic services exemplified in the implementation of the Brigada Eskwela program of the Department of Education and further acknowledging that the works being undertaken under the program will include services that are to be extended by the city in the delivery of basic services, shall extend support and assistance. Under the proposed ordinance, the annual support of the local government to the implementation of the Brigada Eskwela, in addition to or in compliance with mandated support, shall consist of information and education campaign on the Brigada Eskwela program which may include a more active participation in the yearly launching of the program; allowing and encouraging city employees to join the Brigada Eskwela activities by offering their skills or providing their support in kind to public schools near their residences for at least one day to do volunteer work on official time as shall be coordinated and approved by their head of office and allowing the use of city equipment or facilities with personnel or the availment of services on works or activities identified to be undertaken under the program. Moreover, the ordinance stipulates there shall be an allocation of P1.5 million from the city’s general fund to be released in accordance with the program of activities to be formulated by the City Schools Division Office for all public elementary and high schools each year and duly approved by the City Mayor for implementation as allowed pursuant to accounting rules and regulations. The ordinance tasked the City School Board shall prepare the program, project or activity to be funded by the allocation taking into consideration the number and the needs of schools to be assisted pursuant to its given functions, authorize disbursement from the allocation allowed in accordance with accounting rules and regulations. 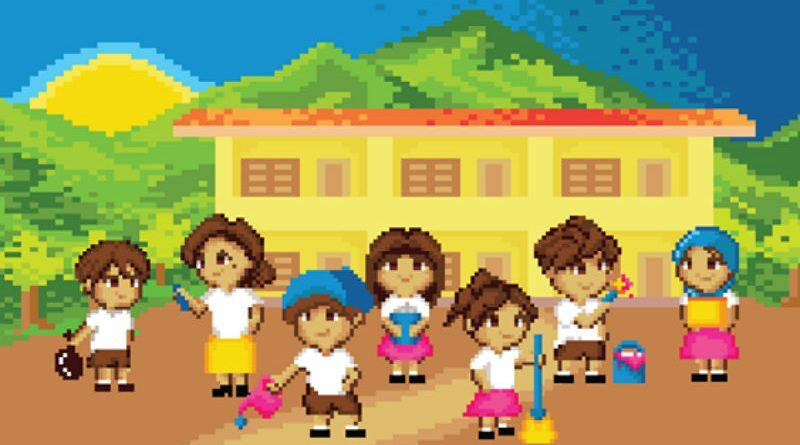 Brigada Eskwela is a school maintenance program that encourages all education stakeholders to contribute their time, effort and resources to do minor repairs and clean-ups on their schools to ensure that public school facilities are set in time for the school opening. It is an annual nationwide activity that began in 2003 when the education department in an effort to bring the spirit of the Adopt A School program formulated under Republic Act 8525 to the community level and maximize civil participation and utilize local resources to improve public schools, launch the national school maintenance week which became popularly known as Brigada Eskwela.